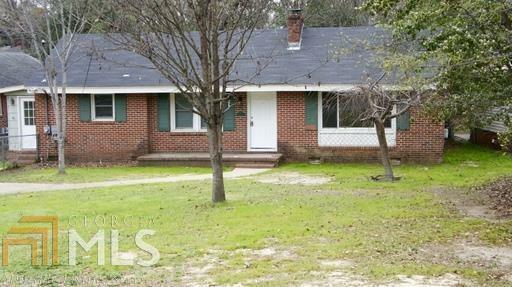 You'll love this beautiful 3 bedroom, 1 bathroom brick ranch. With plenty of natural light flowing through the home and the pastel-painted walls, the home is open and airy. Enjoy a Sunday morning cup of coffee in the dining area of the kitchen or entertain friends in the family room with fireplace. This home has hardwood floors throughout, a fenced backyard and even a separate storage building in the back. Located close to shopping, schools, and Fort Benning.